No, you're not hallucinating. Abenomics is finally kicking in. Japan, the world’s third-largest economy, may finally have put its deflationary past behind. Mired in malaise for more than three decades, the Japanese economy is showing signs that stimulus and reform policies under Prime Minister Shinzo Abe — known as Abenomics — are kicking in. Gross domestic product expanded for six straight quarters through June, momentum not seen in more than a decade, and private consumption, which accounts for two thirds of GDP, rose nearly 1 percent in the second quarter. The Bank of Japan is keeping its foot on the gas with its September decision to continue its path of easy money, taking a different course from other major central banks, such as the Federal Reserve, which is reversing loose monetary policies introduced after the 2008 financial crisis to revive the U.S. economy. Abe, 63, was still a young man when Japan was booming in the 1980s. He founded Sparx shortly before a devastating economic bust that left the nation weakened for decades. In 1989 — just before the nation’s real estate bubble burst and dropped what was then the world’s second-largest economy into a deflationary spiral — Abe set up a hedge fund in his one-bedroom apartment in a middle-class neighborhood on the outskirts of Tokyo. In an interview from Sparx’s headquarters, a modern art–decorated office on the sixth floor of a 32-story glass tower in Tokyo’s bustling Shinawaga district, the hedge fund founder says Abenomics is a success. 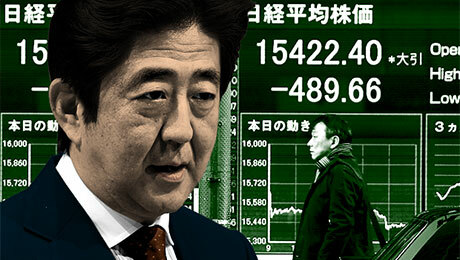 Abenomics began in December 2012, when the prime minister took office. The program involves a three-pronged strategy: central bank monetary easing, fiscal stimulus through government spending, and corporate reforms. The policies seek to reverse years of economic contraction and zero growth that took hold after Japan’s real estate market collapsed in the early 1990s, ending the economic momentum it was riding in the 1980s, when the country seemed an unstoppable force. 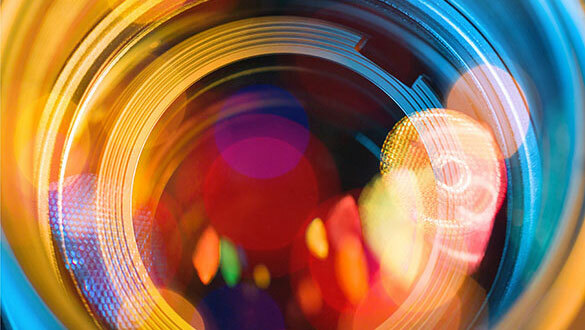 “The Japanese economy is responding to exceptionally loose monetary policy, as reflected in credit growth to businesses, which has hit an 11-year high recently,” Coulton says. Japan’s second-quarter expansion was fueled by strong credit growth and the tightest labor market conditions in decades, he adds, with consumption and investment increasing at their fastest pace in more than three years. Consumer prices in Japan rose 0.34 percent on average in the first six months of this year, a switch from 0.2 percent deflation in 2016, according to Trading Economics, which tracks economic data globally. Price hikes earlier this year by Yamato Transport Co., the nation’s largest logistics company, and Japan Post Holdings, the nation’s privatized postal service, are noteworthy signals of economic momentum, according to Abe. “Yamato has not raised home delivery prices for 27 years, and Japan Post has not raised stamp prices for 23 years,” he says. Japan’s economy — which produced $4.9 trillion of GDP in 2016 — is well on its way to achieving 2 percent annualized growth, BOJ governor Haruhiko Kuroda said at the global central bank summit hosted by the Fed in Jackson Hole, Wyoming, in August. He noted that Japan’s economy could easily expand at that pace as long as the BOJ’s accommodative monetary policies continue. Japan’s GDP expanded 0.6 percent in the second quarter, for an annualized rate of 2.5 percent. It was the country’s sixth straight quarter of economic expansion, the longest stretch of consecutive-quarter growth since January 2005 through June 2006, according to data from BOJ. Still, inflation remains lackluster, running only slightly above zero and missing the BOJ’s target of 2 percent, according to Fitch’s Coulton. 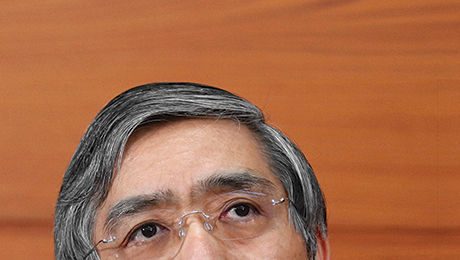 Kuroda, selected by the prime minister in 2013 to lead the central bank, said in September that the BOJ would continue purchasing assets to stimulate growth and keep Japan's ten-year government bond at 0 percent. The nation’s economic struggles are in sharp contrast to its rapid rise during the 1980s, when Japan captivated the world with the Walkman, a portable music player for cassette tapes that was introduced by Tokyo-based Sony Corp. In 1990, Japan produced $3.14 trillion of GDP, second only to the U.S., whose GDP was then $6 trillion, according to data from the World Bank and the International Monetary Fund. But as the U.S. economy expanded by about 150 percent over the next 20 years, to $15 trillion in 2010, Japan’s increased at about half that pace, to $5.8 trillion. The slowdown left Japan tied with China in 2010 as the world’s second-largest economy, a title the Chinese would later claim alone. Japan saw its economy shrink over the next five years, to $4.4 trillion in 2015, as the yen weakened against the U.S. dollar. China, meanwhile, almost doubled its economic output, to $11.2 trillion. Not all are convinced Japan’s economic stimulus has produced a win for the nation. William Pesek, author of Japanization: What the World Can Learn from Japan’s Lost Decades, questions the success of Abenomics. He says Japan’s momentum is really part of the global recovery, with much of nation’s growth owed to rising foreign demand for Japanese merchandise, particularly from other Asian countries. Pesek believes Japan’s recent growth has benefited wealthier households far more than the average worker. Wages have not really risen in a nation where many companies still prefer to hire and promote men, Pesek says, adding that many women are homemakers. Take-home wages have averaged about ¥327,000 a month since 1970 and have not risen significantly in the past 50 years, according to Trading Economics. Average monthly wages were ¥340,778 in the first six months of this year, compared to a high of ¥883,000 a month in December 1997, data from its website show. Fund managers Richard Kaye of Comgest and Hiroki Tsujimura of Nikko Asset Management Co. say Abenomics has benefited Japan’s investors while bolstering the economy for further growth. Japan’s stock markets have rocketed in the past five years despite the economic contraction seen during much of that period. The Nikkei 225 index closed at just under 20,000 points on September 15, double the level seen when Prime Minister Abe took office in December 2012. Sparx has invested 85 percent of its $9 billion in assets under management in Japan, almost doubling its assets over the past five years. The key to the firm’s success, says Abe, is a laser-sharp focus on companies at the cutting edge of Japanese-led innovation. Although Sparx invests abroad, the firm primarily targets Japanese companies with global operations. Sparx recently started a $327 million fund that invests in robotics, artificial intelligence, and technologies to enable hydrogen-fuel cells, with Toyota Motor Corp. and Sumitomo Mitsui Banking Corp. as partners. The group is investing in companies engaged in AI globally, including some that were incubated by Toyota Research Institute, which operates laboratories in Los Altos, California; Ann Arbor, Michigan; and Cambridge, Massachusetts. “We are a bit ahead of time, but by investing in AI, we are participating in something that will revolutionize not only Japan, but the entire world,” Sparx’s Abe says. Despite the past three decades of economic malaise, Japanese companies remain at the forefront of trends in technology, according to Richard Kaye, who co-manages the Comgest Growth Japan fund. Much of Comgest’s exposure to Japan is through nine tech stocks, including robotics manufacturer Fanuc Corp., biotech and biopharmaceuticals firm Sysmex Corp., sensor devices manufacturer Keyence Corp., and cosmetics and nutrition products maker Pola Orbis Holdings. Many Japanese companies are investing beyond Asia to fuel their growth, says Oskar Mielczarek de la Miel, a Tokyo-based managing partner at Rakuten Capital, the technology venture arm of Japanese e-commerce giant Rakuten. Rakuten Capital has invested more than $1.5 billion globally in dozens of technology ventures that are helping to strengthen its parents’ subsidiaries, including online broker Rakuten Securities and online credit card issuer Rakuten Card. As many as 60 percent of initial public offerings in Japan each year are done on the Tokyo Stock Exchange’s “Mothers” market, designed for trading high-growth and emerging stocks. That’s a sign entrepreneurship is growing in Japan, says Yasuyuki Konuma, the Tokyo Stock Exchange’s director and senior executive officer in charge of new listings. Last year a total 91 IPOs raised $9.3 billion in Japan, the third-largest new listing market globally after the greater China region and the U.S., according to audit and accounting firm Ernst & Young. Eighty-six went public on platforms tied to the Japan Exchange Group, or JPX, with the remaining few listing on smaller, regional venues such as the Nagoya Stock Exchange and the Fukuoka Stock Exchange. The Tokyo Stock Exchange, owned by JPX, is working with venture capitalists all over the country. “We at JPX are at the forefront of cultivating more entrepreneurship in Japan,” says Konuma, who views young entrepreneurs as IPOs in the making. The third prong of Abenomics — and perhaps the most important — is a set of reforms aimed at restructuring corporate Japan with stewardship and corporate governance codes, according to Konuma. Over the past few years, JPX has been working with securities regulator Financial Services Agency and other government agencies to implement the codes, which seek to improve transparency and shareholder accountability. The idea is to raise the credibility of publicly traded Japanese companies in the eyes of foreign investors, who own about 30 percent of the shares and represent 65 percent of trading volume, according to Japan Exchange Group data. Companies listed on JPX’s exchanges had a combined market value of about ¥620 trillion at the end of August. Japan’s stewardship and corporate governance codes require listed companies to be uniformly more transparent with shareholders. The government introduced the stewardship code in 2014 and the corporate governance code in 2015, after fiascos tarred the image of the country’s corporate world, known as Japan Inc. The biggest scandal involved Olympus Corp., the optics technology firm shamed globally when British-born chief executive officer Michael Woodford was ousted on revealing that the company was hiding more than ¥117.7 billion of investment losses. 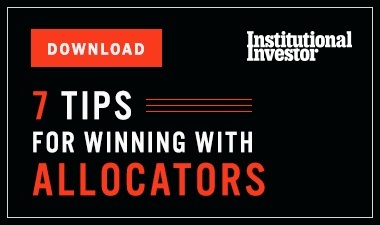 “The two codes will help global institutional investors regain confidence in Japanese-listed companies,” Konuma says. Businesses in Japan have become more open to investors, according to Kaye, who has resided in the country for 27 years. He says that he and other Comgest executives first met Fanuc management in 2015, despite having managed a portfolio that included a significant stake in the Japanese robotics maker for more than a decade. A senior Fanuc executive called Kaye that year to meet a company board member at a factory in Japan’s Yamanashi prefecture, at the footsteps of Mount Fuji. Management wanted his input on the direction of the company because another significant shareholder, Fujitsu, was selling down its stake at the time. “We were not that bothered by the fact that Fanuc Corp. management would never meet with us — their numbers were always good,” says Kaye, adding that many Japanese companies tend to open up to shareholders based on their own needs rather than investor demands. For a long time the common complaint among investors, both local and foreign, was that senior executives of Japanese-listed companies prioritized the interests of business partners and lenders above those of shareholders. Many fund managers would complain that top management kept proxy votes secret and did not release voting results. Keeping proxies secret is no longer possible under the new stewardship and corporate governance codes, says Tsujimura, Nikko Asset Management’s chief investment officer for Japan, who oversees $66 billion. He notes that they give investors far more power than they had before. A new rule under the codes mandates that all proxy votes and their results be publicly announced, a move that he says will improve transparency dramatically. The open disclosure of timing of proxy votes empowers all shareholders, says Tsujimura, adding that asset management firms can now more closely monitor board decisions and force management to provide bigger dividend payouts. On average, Japan’s public companies give investors a return on equity of about 5 percent, a third of what’s offered by U.S. companies, according to Tsujimura. He says that Japanese companies for years kept about 60 percent of their earnings while paying out just 40 percent in shareholder dividends. Further incentivizing Japanese companies to share more of their earnings with shareholders is the fact that Abe’s government has lowered the statutory corporate tax rate to 32 percent, close to the global standard of about 30 percent. That’s down from 52 percent five years ago. With the expected increase in dividend payments, Tsujimura predicts that Japanese equity markets will only get “hotter” in the years ahead. “There is huge upside potential as more companies have to comply with the stewardship code,” he says. The reforms under Abenomics will force companies to become more productive, says Seiji Kawazoe, the stewardship officer of Sumitomo Mitsui Trust Bank, Japan’s largest asset manager with more than $450 billion under management. Many will need to diversify outside Japan — their comfort zone — to do more business in Asian countries that have lower labor costs and an increasingly large middle class to consume goods and services. Abenomics will lead Japanese companies and the nation’s economy to become more integrated with the rest of Asia, according to Kawazoe. The future is bright for Japan, he says, because its companies are diversifying offshore at a time when emerging markets in Asia are maturing and gaining economic momentum. Government policymakers realized long ago that Japan’s aging population — about 33 percent are over 60 — and its low birth rate of 1.5 children per household meant its home market was shrinking. “They recognize they can no longer depend on a domestic customer base,” says Takashi Miwa, a Tokyo-based chief Japan economist at Nomura Holdings, the nation’s largest investment bank. In the past it was Japanese manufacturers that expanded aggressively offshore, with Toyota setting up U.S. operations in 1957, Nissan in 1960, and Sony in 1960. Now, Miwa says, a broader range of companies outside of manufacturing are doing business abroad. As examples, he cites clothing retailer Uniqlo Co., e-commerce company Rakuten, and online game developers Nintendo and Sony Computer Entertainment. “Japanese corporations are moving away from a goods-only-focused strategy to a more brand-focused and service-focused strategy,” he says. At the same time, the government has accelerated its cultural exports simply by opening the gates to foreign tourists, a group that has tripled to 24 million since 2013, when Abenomics was in its early stages. In total, foreign-tourist spending topped $33 billion in 2016, up 7.8 percent from a year earlier and more than double the $15 billion in 2013, according to data from the Japan National Tourism Organization. The bulk of the tourists are Asians, with the single largest group being the Chinese, who account for 25 percent of visits to Japan. South Koreans are next, at 20 percent, followed by the Taiwanese, who make up 17 percent of tourists visiting the country. The government’s goal is to attract 40 million tourists by 2020, when Tokyo hosts the Summer Olympics, with the hope that they’ll spend an annual $70 billion. For all these efforts, there’s a lot more work to be done in Japan. Author Pesek says the effectiveness of its reforms has been spotty and hasn’t deterred recent corporate disasters, including the ongoing crisis at Toshiba Corp. The industrial conglomerate’s stock was hammered by the collapse of Toshiba’s American nuclear business, Westinghouse Electric Co., which filed for bankruptcy protection this year in the U.S. Allegations tied to Toshiba’s accounting scandal in 2015 have continued to surface this year. The company warned in April that there is “substantial doubt” about its survival. Pesek points to another major problem: the continued leaks at Tokyo Electric Power Co. Holdings’ Fukushima Daiichi nuclear power plant, which was hit by the 2011 earthquake and tsunami and has been in crisis mode since. Toshiba, Olympus, and Tokyo Electric Power declined to comment. 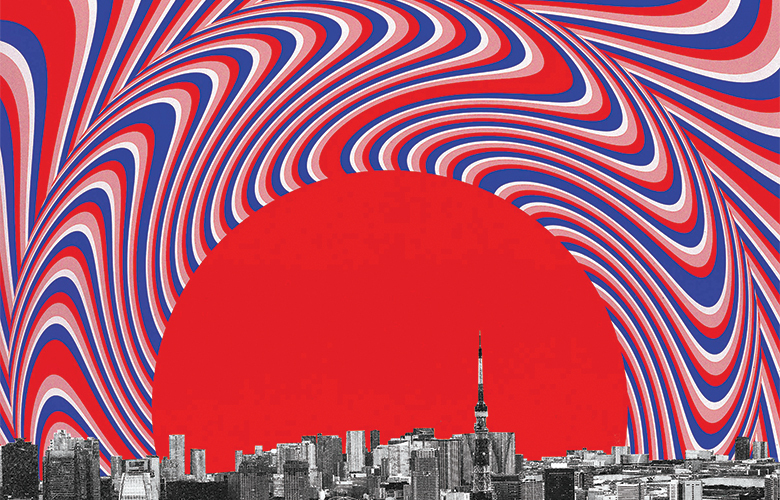 Despite doubts about whether Japan has finally extricated itself from the aftermath of its economic bust decades ago, Sparx’s Abe is adamant the country is back on track.